Which 2014 models offer the best motorhome insurance discounts with Caravan Guard? If a shiny new motorhome is top of your Christmas list this year, it might be useful to know how much you could save when the time comes to insure it. Each motorhome in Swift Group’s Swift, Bessacarr, Escape and Autocruise ranges is fitted with the Battery Powered Tracker Retrieve tracking device. 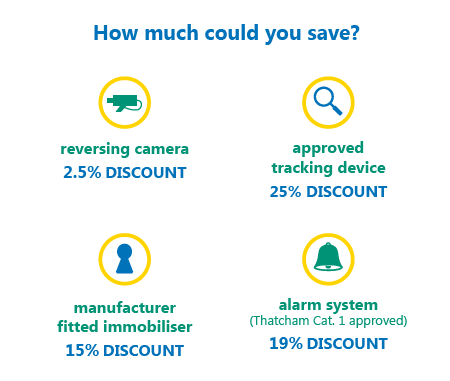 Caravan Guard customers who have an approved tracking device fitted to their motorhome receive a 25% insurance discount – so if you’ve recently invested in any of the Swift Group models mentioned you too could enjoy this huge saving! If you’re unsure whether your motorhome’s tracker offers this great saving, simply check the Caravan Guard list of approved tracking devices. Each Elddis Aspire is fitted with a Thatcham Category 1 alarm security system and reversing camera as standard, which both attract insurance discounts. Owners looking to insure a Swift Kontiki motorhome can also benefit from a reversing camera discount on top of a tracking device discount for the standard fit Tracker Retrieve device. Beyond that we have noticed several manufacturers offering security and safety devices as options. Elddis, for example, offers both Thatcham Category 1 alarm systems and tracking devices across its Autoquest and Accordo ranges. Look out also for security and safety features amongst popular optional accessory packs. If a motorhome buyer chooses the “Comfort Pack” from Autocruise, the “Premium Pack” from Auto-Sleepers, the “Media Pack” from Auto-Trail, or the “Vogue Pack” from Swift, they will, amongst other fantastic goodies, get a reversing camera which will lower their insurance costs. 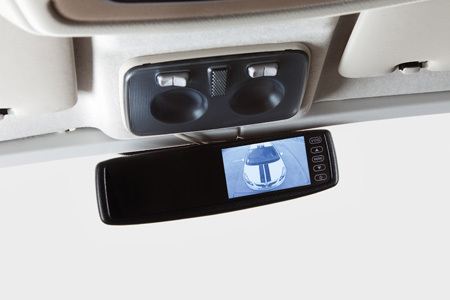 European motorhome manufacturers such as Hymer and several van converters also offer reversing cameras amongst a host of options. For more detailed information on our great range of security discounts check out our motorhome security page. Please note the maximum Caravan Guard motorhome insurance security device discount available is 25%. Secure storage and reversing camera discounts can be achieved on top of this. Swift Group motorhomes come with an initial 3 month free Tracker Retrieve subscription – if taking a policy with Caravan Guard AND wish to benefit from the tracking device discount you must maintain an active subscription for the duration of your policy. Please could you give me an insurance quote. I will be taking possession of my first motor home approx 8th March. I am 64years of age and have maximum no claims bonus on my car. The motor home is an Autotrail Tracker with a 59 plate and is fitted with a reversing camera, not sure as yet about other security aspects. It will be kept on my drive when not in use. I would be grateful if you could supply me with a quote for just myself as a driver and also a quote with my two children who are 39 and 41 years of age. They are also named drivers on my car. Imlook forward to,hearing from you, thanking you in anticipation. Thanks for getting in touch. Our insurance advisers will be the best people to help you with that one. You can give them a call on 0800 14 88 400 or 01422 396 769 which is our mobile friendly number. They will be happy to go through a quote with you and will be able to apply a no claims discount. Alternatively, you could use the online Quote and Buy tool for a quick online quote. Click here and follow the instuctions. Let me know if there’s anything else I can do for you. Are you an existing Caravan Guard policyholder? If you are we will be able to retrieve your details and provide a new quote. If not please call our Adviser Team on 0800 14 88 400 for a quote.